Whoa. This is major shake-up for the frozen breakfast foods industry. 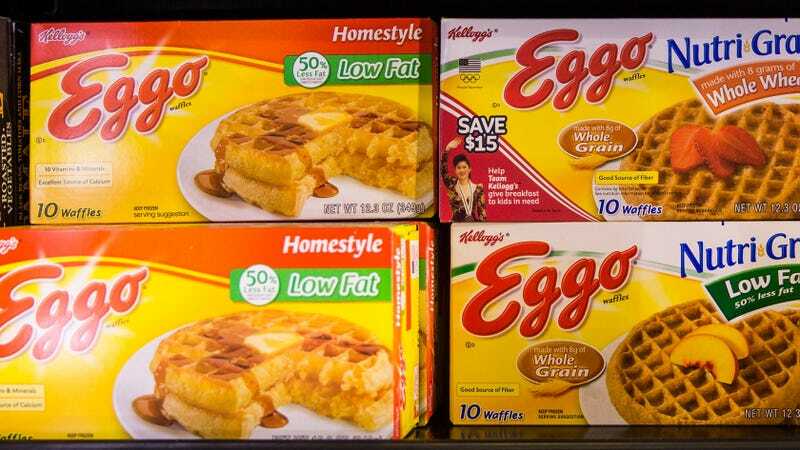 Kellogg’s CEO John Bryant released a statement this morning outlining the spine-chilling dream that convinced him to permanently discontinue the frozen waffle brand, and after hearing all the details, you can’t really blame the guy for pulling the plug. Bryant continued to say that the Atlanta production facility where Eggo waffles are produced will be shuttered and demolished immediately, as in his dream he was chased around the factory by a menacing army of 30-foot-tall Eggo waffles with powerful horse thighs, and the thought of ever stepping foot in there again just gives him the willies. Wow. This is officially the end of an era for one of the world’s most beloved frozen-food aisle staples. While this move will undoubtedly have a huge impact on how millions of people eat breakfast every morning, dreams can be incredibly scary, and you have to applaud Bryant for going with his gut and doing what he believed was right after experiencing such a spooky nightmare.